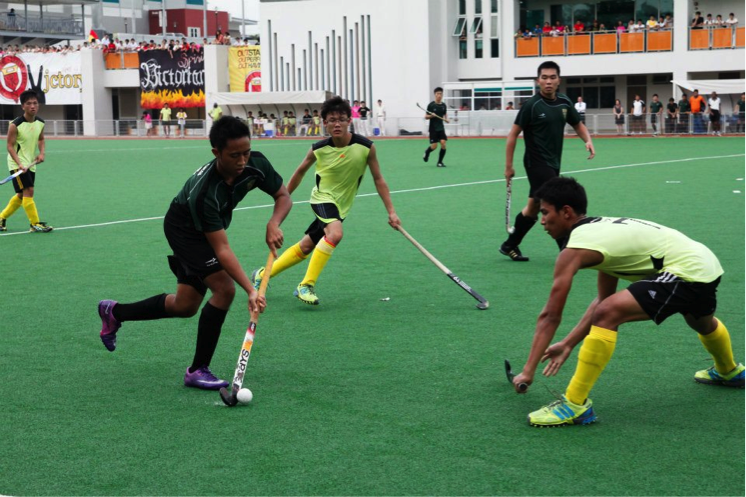 Two of the strongest boys’ hockey teams took to the pitch on Thursday afternoon, in the finals match that would determine the A-division champions in the National Inter-schools Hockey Championships. In a replay of last year’s match, the RI boys’ hockey team defeated strong contender Victoria Junior College (VJC) 2-1 to bring home the championship title. The match kicked off amid the resounding cheers of the crowds of supporters from both schools, and certainly proved to be a fast-paced, nerve-racking one. Both teams were strong in both their attack and defense, and their hours of hard work and training were evident in the skilled and versatile moves of the players. The game moved rapidly from one end of the pitch to the other, and VJC’s first but unsuccessful attempt at goal came seven minutes into the game. Shortly after, a short corner was awarded to the RI team which, to their supporters’ delight, resulted in a 1-0 score to RI. 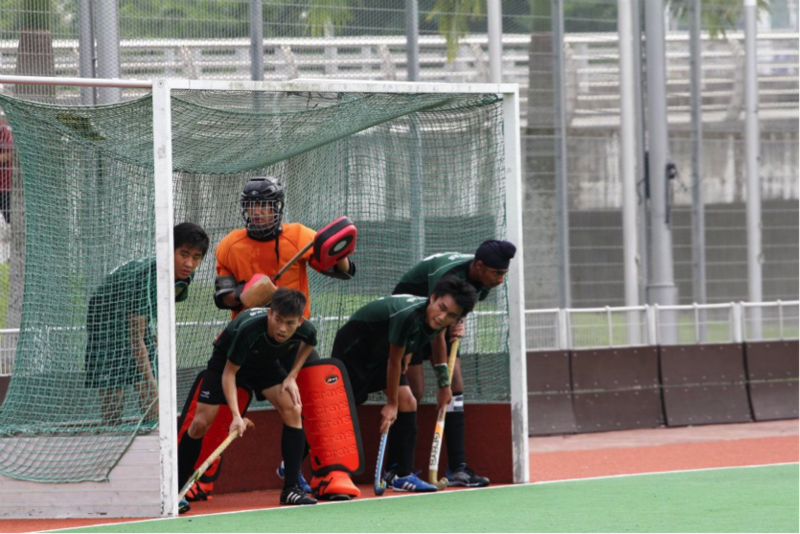 Three minutes before half-time, another short corner was awarded to the RI team, and Captain Jaspal Singh expertly deflected the ball into goal, earning a 2-0 lead for Raffles. The anticipation during the ten-minute half-time interval was palpable, with the RI team hoping to widen their lead. A minute into the second half of the game, however, the VJC team scored a goal after a short corner, bringing the score to 2-1 and narrowing the gap dangerously by a solitary goal. Tension was now visibly high in the RI team, and the increasingly louder and frequent heart-pounding cheers from the supporters only drove up the intensity and fervor of the match. However, even though two more short corners were awarded to the RI team, neither proved successful in helping them increase their lead. Despite several minor injuries and cramps, the teams put up a good fight and maintained their defense. As the final whistle blow marked the end of the feverish game, the RI team members dropped to the ground in joy and relief against a backdrop of celebratory whoops from their supporters. As Team Captain Jaspal Singh said, their many months of training “finally paid off”, and it was certainly another great achievement for the defending champions. Well done Hockey Boys!